Your HVAC system is perhaps the most important system in your Carlisle, OH home, keeping you and your family comfortable throughout the year. Because your HVAC system is so crucial to your family’s wellbeing, you want to make sure it works the way you need by scheduling maintenance and repair services from a reliable company like Watkins Heating & Cooling. Watkins Heating & Cooling works with customers from multiple Ohio communities, including Carlisle, and we would be glad to provide you with heating and cooling services. Whether you need to repair an old system or install a new unit, Watkins Heating & Cooling is your best choice. Before scheduling air conditioning service in Carlisle, OH, you need to be certain that you’ve chosen the right company. In particular, you need to look for an HVAC company that provides both a legacy of success and a service oriented staff, which is exactly what you’ll find when you hire Watkins Heating & Cooling. 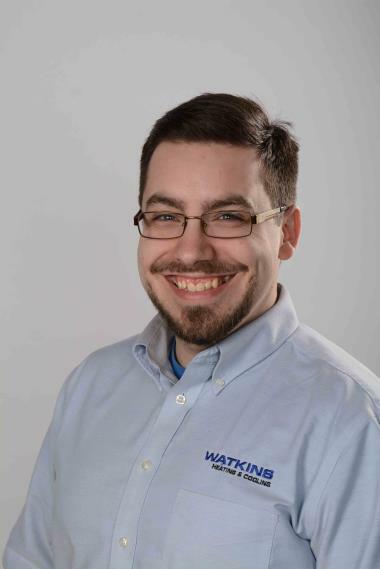 Unlike other air conditioning companies in Carlisle, Watkins Heating & Cooling is a family-owned business with over three generations of success. We know how important your HVAC system is for your family, which is we offer the services that you can trust. Whether your repair is routine or emergency, we can get it done the right way and at the price that you need. Like many complicated pieces of equipment, your HVAC system has countless moving parts, all of which are crucial to its continued functioning. This also means that there are several problems that can cause your system to malfunction. Fortunately, by choosing Watkins Heating & Cooling, you’ll have access to the HVAC services you to ensure the long-term functioning of your system. We can perform seasonal maintenance on your air conditioner so that it can keep your home cool during the sizzling summer season. If you want to keep your home warm during the winter, our repair technicians can work on both furnaces and heat pumps. Finally, if you need a new system, we can tell you which heating and cooling units are right for your home. Possibly the best reason to choose Watkins Heating & Cooling as your HVAC repair company is being able to work with an outstanding team of maintenance professionals. Because our staff consists of employees instead of subcontractors, we are able to offer a higher quality of service than you’ll find at other repair companies. Watkins Heating & Cooling also provides our employees with training and education to make sure they have a dependable skillset. Furthermore, we emphasize quality of work instead of speed, which means our repairs will keep your system running well into the future. No other HVAC company offers you the excellent team you’ll find at Watkins Heating & Cooling. The next time your HVAC system malfunctions, the easiest way to schedule air conditioning service in Carlisle, OH is by contacting Watkins Heating & Cooling. Our focus is on making your HVAC repairs as stress-free and easy as possible. We offer everything you could want in an HVAC repair company, including upfront pricing. Watkins Heating & Cooling also provides a workmanship, one-year buy-it-back, and right-size guarantee so that you’ll know you’re spending your money wisely. Contact Watkins Heating & Cooling today! Great service! Very polite and courteous! They were very hard working and made sure everything was accurate and complete. It was a pleasure to do business with Watkins heating and air. We had a whole new furnace & air conditioner & thermostat installed. They took away all the old and cleaned up everything after installation. We couldn't be more pleased and we now have peace of mind in knowing we don't have to worry about our heat & air for aong time. Also, easy financing was available with monthly payments! Scott came out and was very informative and friendly. He showed me everything he did and explained it too. Would welcome him back for service anytime. Service work was performed in a very efficient timeframe. Technician was knowledgeable and explained all options thoroughly. Good experience. the service we received today was amazing. the team that put our new units in was so very kind and explained things very well. yes we will highly recommend the guys who did the work. We have used Watkins for our heating and A/C issues in the past. They are very professional and helpful each time they come out. We have no reservations giving them our business since we know that the job will be done right and the price will be as quoted. Excellent service at a good price. The Watkins employees who came to my grandmothers house were very informative and friendly throughout the entire process and even went so far as to send flowers and condolences when they heard of my grandfathers passing. They well exceed normal professional courtesy and my entire family will be using them anytime we need HVAC work done. All employees I've worked with have been professional, curtious and dedicated to making sure my HVAC sytem worked to my satisfaction. We have been with Watkins since 2001. We gave them the job because the person answering the telephone was the only one who could answer my husband's questions. Their service men have been just as knowledgeable. Williamson oil furnace check up. Trane XV80 + XR16 job inspection.